Safe, affordable, and preferably in dark green. A little wear and tear on the outside is always good too. 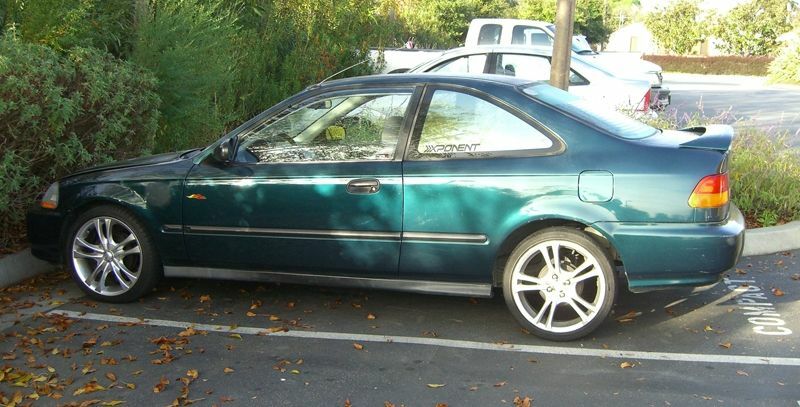 The Civic is a compact car and gets good gas mileage at 30+ miles per gallon. This car's engine is very reliable and with the right mechanic it's affordable to keep in good running condition. Back seat folds down to expand trunk space. Some models have a spoiler and it comes in 2 door and 4 door configurations. How much does registration for & tags, for honda coupe costs ? I pay about $85 a year in California.